Want extra protection from the elements? 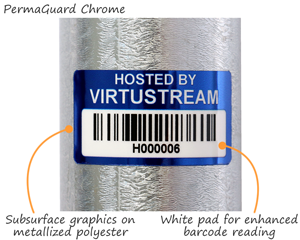 PermaGuard® Asset Labels offer superior resistance to chemical abuse, abrasions, and weather, and will even hold up well outdoors. 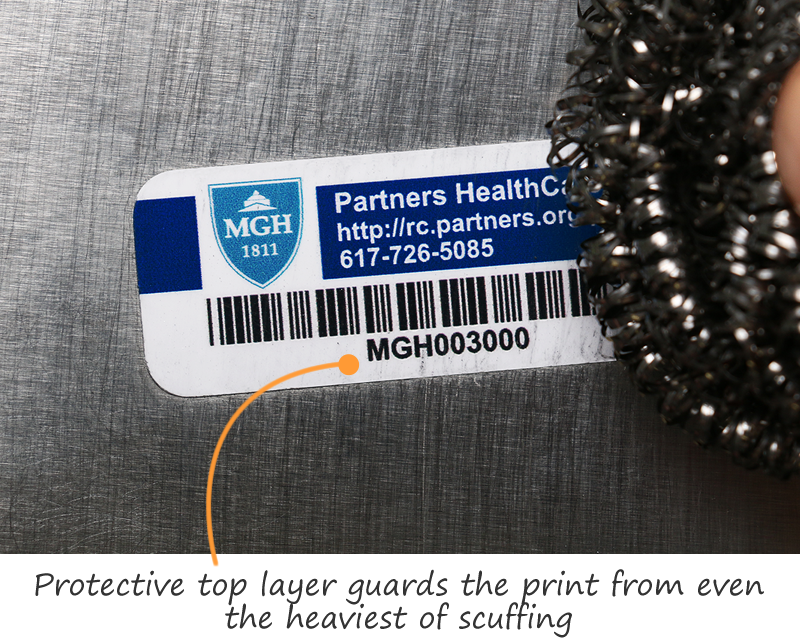 Clear, polyester top layer protects your barcodes or graphics. 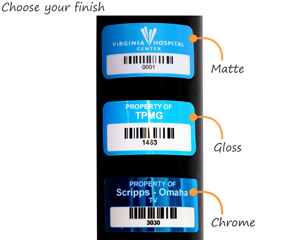 • Choose a gloss finish, which is easy to clean, or a matte finish to cut down on glare. Gloss is most popular. • High bond, permanent adhesive is easily conformable and works great on most clean and curved surfaces. 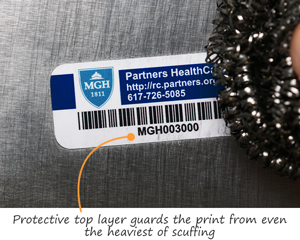 Smooth, rounded corners resist flagging and wear. 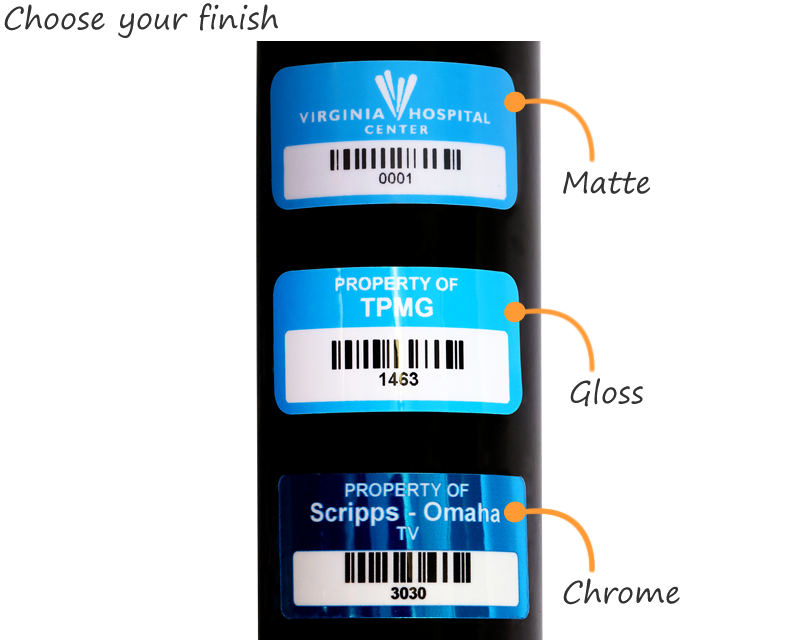 • For more templates, see Laminated Plastic Labels. 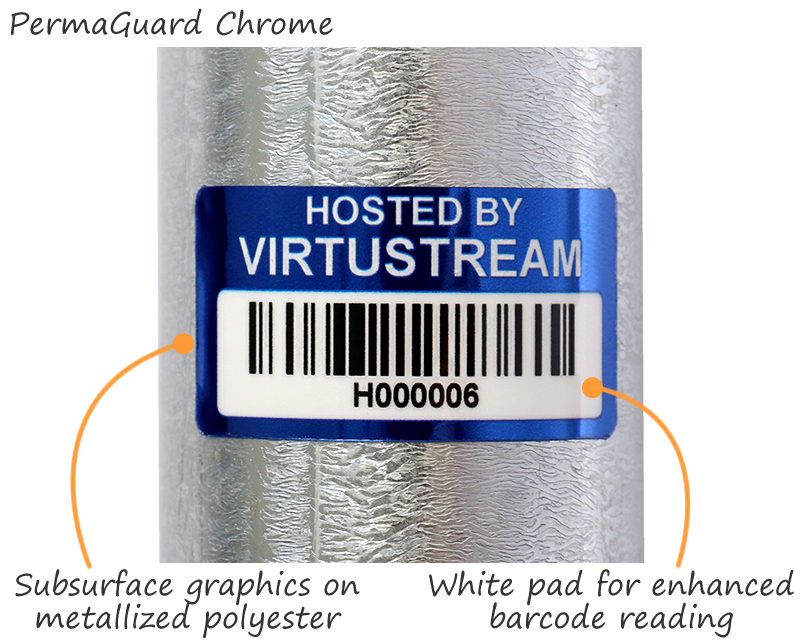 See why PermaGuard is our most durable plastic asset tag. 0.5" x 1.25" 0.5" x 1.75" 0.625" x 1.75"
All asset tags can be printed in a variety of colors. You will be able to choose print color on next page. Received the products. Have yet to put them on our equipment, so I can't say how well they adhere to the various surfaces yet. Came exactly as I designed it. 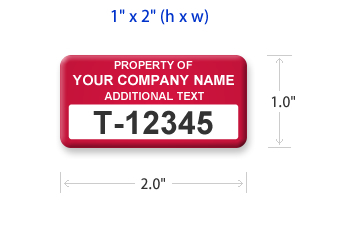 They are just what we needed to identify our property. Hopefully this will cut down on loss. 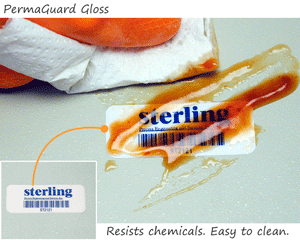 easy site to navigate, product was of good quality. 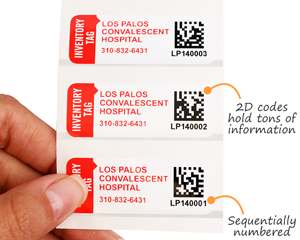 They are clear/legible, stick well to surfaces, easy to clean & wipe over and the barcodes scan easily with our equipment. Thank You!